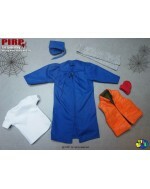 PIRP 1/6 Scale Ninja Master Suit It contains: 1) Khaki Suit 2) Black Shirt 3) Black Belt..
PIRP 1/6 Scale Spider Boy Amazing Winter Casual Wear Set 2.0 It contains: 1) White Tee 2) R.. 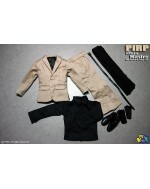 IN STOCK PIRP 1/6 Inspector Clothing Suit 2.0 It contains: 1) Wired Grey Overcoat 2) Gre.. 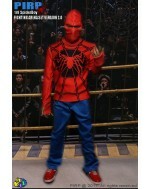 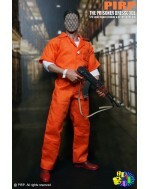 IN STOCK PIRP 1/6 Scale The Prisoner Dresscode It contains: Orange Prisoner C..
PIRP 1/6 Scale Spider Boy Fighting Arena Set Check List: Hood Spider Logo Tee Blue Sport..